President Muhammadu Buhari and his Ivoirien counterpart, Alassane Ouattara, have met to strengthen ties and democracy in Togo and Liberia. Addressing State House Correspondents after their closed-door meeting in Abuja yesterday, Ouattara acknowledged Nigeria’s role in the West Africa sub-region and the entire African continent. “It is a great honour and privilege to be in Abuja to see my brother and exchange views with him on the bilateral relations between Nigeria and Cote d’ Ivoire and to see how our sovereign nation is doing and also, we had the opportunity to exchange views on major issues on the continent and the world. “I will like to thank President Buhari for his invitation. I had expressed the wish to come and see him, we had been in touch and I came to tell him that we are very happy that he is back in good health. 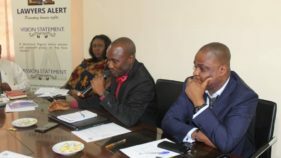 “This is important not only for Nigeria but for the whole of West Africa and our continent. We pray God that his health continues to be strengthened and be better for him to lead our sub-region. “The leadership of Nigeria is quite important to all of us which is something that is obvious but I think it needs to be said. “President Buhari has shown a great leadership with the fight against Boko Haram insurgents, insecurity in the sub-region and also on economic matters. 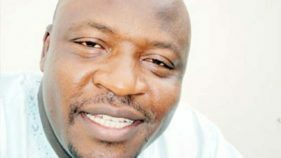 I expressed to him the fact as an economist and having worked in Nigeria many years ago, I am impressed by the measures which have been implemented to lift Nigeria out of recession,” he said. He disclosed that Buhari will be attending the AU/European meeting in Abidjan November ending. 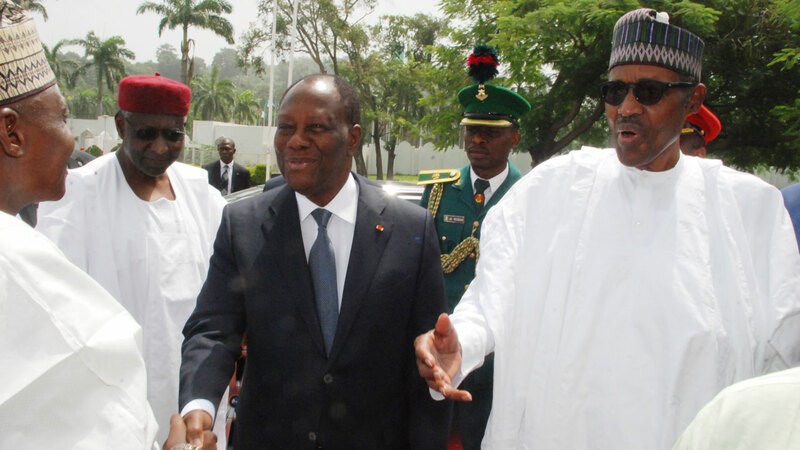 However, President Ouattara has received a honorary citizenship of Abuja. The Minister of the Federal Capital Territory (FCT), Muhhammad Musa Bello, conferred the award on him in Abuja. Bello, who made the presentation on behalf of President Buhari, noted the offer carries all rights and privileges. Ouattara, who received the key to the City of Abuja, asked the minister to convey his sincere appreciation to the President for the kind gesture.